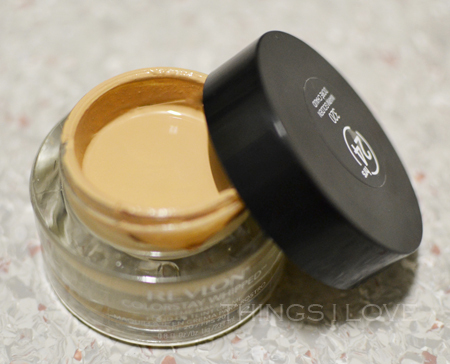 When it comes to the one makeup item that I’m very fussy about, it would be foundation. It is after all a base makeup that goes across my whole face and need to sit well for the entire day on my skin so texture and wearability is important. Add to that the complexity of finding the perfect colour match, it’s like traversing a jungle to find the perfect product for foundation. So when I recently tried a new foundation that meets all these criteria, I just couldn’t wait to share it all with you. First up, the whipped creamy texture is thicker than liquid foundation, but lighter than traditional cream based makeup. In fact is has a gel like consistency and is similar in texture to some of the thicker Asian BB creams (which is not to be confused with the western BB creams which are thinner in consistency and generally more like tinted moisturisers). The gel consistency allows it to glide easily over skin and make it a dream to blend and buff with the use of a synthetic buffer brush (I use the Signma F82 brush but any dense synthetic buffing brush would do, just don't use the flat paddle varieties which will leave streaks and need more blending effort). Even fingers will give an amazingly even and flawless finish with this makeup. 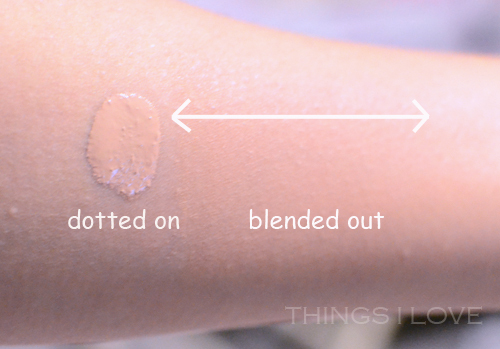 You can easily build up the medium coverage formula to full coverage and achieve this without your skin looking like it’s being caked-on with product. It will easily help hide small blemishes, pigmentation and dark circles in a cinch. It imparts a soft natural finish, not glowy but not completely matte either so your skin don’t look flat after base application. It’s also a very hydrating formula and my face doesn’t feel dry nor does it accentuate dry patches when used along my usual mositurising regime (serum then moisturise) despite the fact that that I usually suffer from dry skin the side of my face. The sun protection factor is also great even though I already use a separate sunscreen. I honestly cannot find any fault in this foundation. It boasts a time release formula to keep it looking fresh for up to 24hrs but in honestly my longest single period of wearing it was 15 hours and by the end of it, I’d say that 50% of it has faded but because it wears so well, there are fewer makeup crease marks around my nose and laugh lines thanks to the flexible technology, it still looked good on my skin. After 12 hours, the makeup is still farily intact so that if you do a quick oil blot and powder touch up, you can still look quite fresh at the end of a long day if you are heading out into the evening. 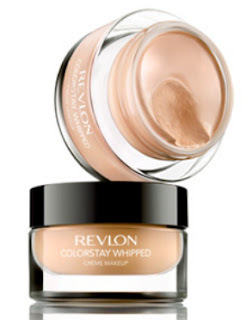 Yes, I’m gushing about this makeup as I didn’t think a whipped product would work for me because I’ve previously tried a few mousse foundation varieties (remember Maybelline dream smooth mouse foundation?) and didn’t like them. 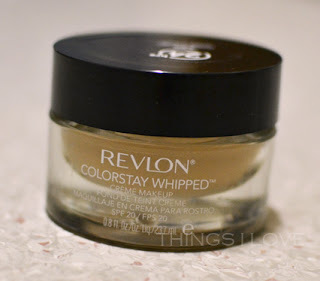 Revlon has really blown its competition out of the water and beats many high end products this time to come out with such an amazing foundation. I cannot ask for more from a soft natural finish foundation that is so comfortable and long-wearing. I think it this is my 2012 holy grail status foundation. It's a big call I know, but I can't see many other foundations beating it. If you can find one in your colour (there are 7 shades available in Australia compare to 10 in the US), then you’d be silly to not try it. RRP A$34.95 for 23.7ml at selected Priceline, department stores, Target, Kmart, Big-W and pharmacies. This featured product was provided for consideration. With a review like that, how could I say no to this? I've seen a few American Youtubers rave about this and wondered, now I really want to try it out. Hopefully the light shades won't be too dark for me as they often are. Also, I remember the Maybelline mousse foundation....woeful. Great review! Emma - I hope they have your shade. Revlon's been pretty good with light shades and my darker friends complain that they don't stock the deeper shades in Australia. It's so hard to find the right colour match of foundation though so when you do, it's almost like winning lottery! Good luck in your search and hope the ivory shade will match you! I've been really interested in this foundation ever since it's release in Australia so it's great to read a review! Kimberley - I think you'll love this formula. It just goes on so well and looks amazing.